Between the Moon and NYC 4" x 4" Collage, originally uploaded by DianthusMoon. Had a very busy afternoon and early evening as I decided it was too perfect of a day to clean, so I went to Longwood Gardens to walk and take photos. Great exercise, but I am zonked. I am hoping to go to a rubber stamp show in York, about 1.5 hours or so from here, about 28 miles above Lancaster. I’ve never been to a show like that-and they have paper goodness galore. I’m not sure who all is going, but if both guys go, they can go check out ‘the first Capital of the USA’. This evening I finished up a few ATCs and hope to enter them in a contest at the show. I also pulled a few to trade. 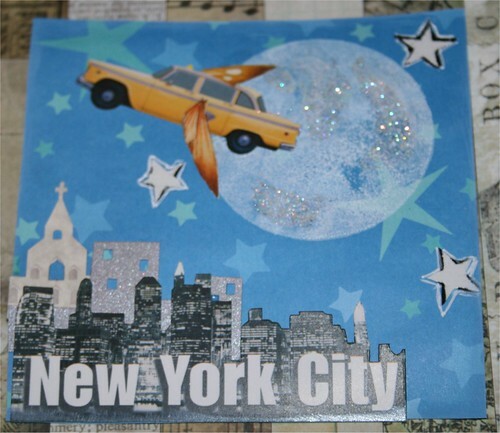 So back to my collage-my tribute to NYC! I thought it would be funny to have an airborne taxi. Bri thought the taxi needed wings! The white stars glow in the dark too. The NYC in front is a sticker as is the taxi. The lighter color buildings are little cut-outs. And the moon is a rubber stamp. 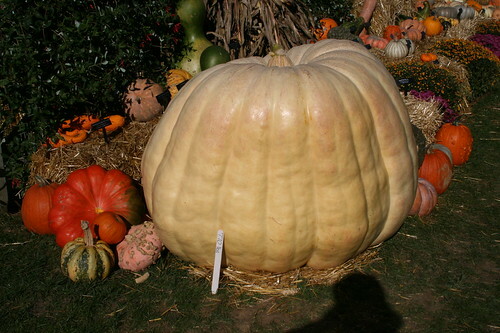 Off to bed real soon-but I know you want to see an almost 800 pound pumpkin first!